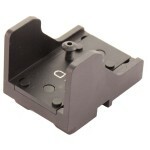 This compact mount will accept the JPoint , Docter , and the Burris FastFire II & III MRD Sights. The lowest profile mount of its kind on the market. 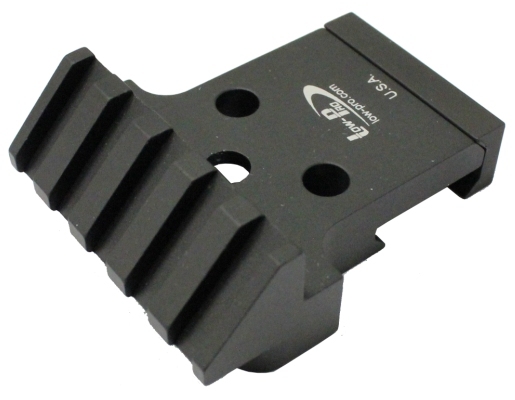 This mount is designed to fit the Picatinny rail, MIL-STD-1913. One of the main objectives in the design is to incorporate protective sides built into the mount, this makes for a very rigid set-up. 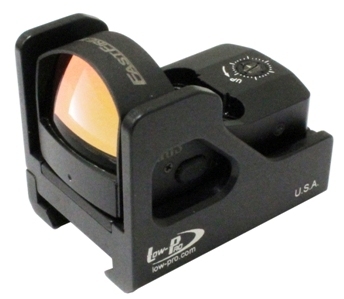 Great as a back-up or close range auxiliary sight. Machined from a solid billet of 6061-T6 Aluminum, and finished per Military Specification MIL-A-8625 Black Anodized finish. Red-Dot sight not included. 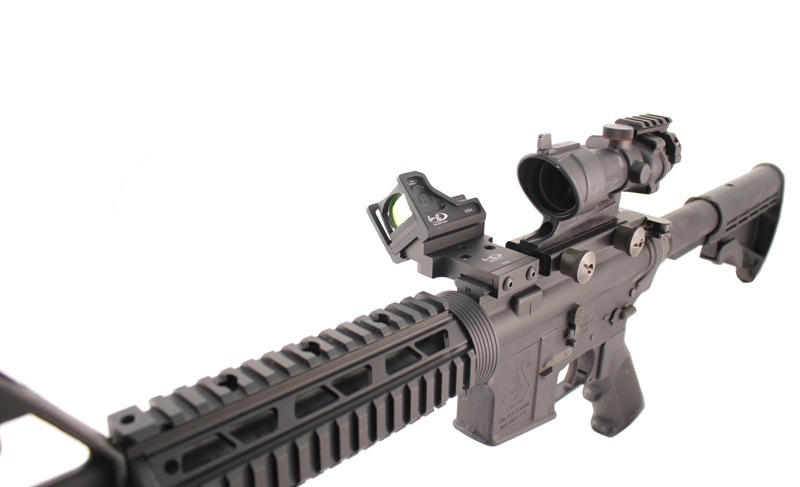 This unique mount will accept the popular Trijicon RMR Red-Dot Sight. 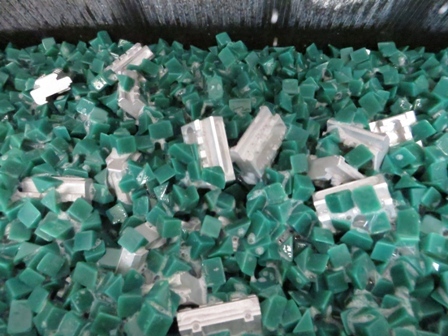 The Mount is light weight, strong, and has a very low profile. The side protective wings have been skeletonized to reduce weight, and also have access to the brightness controls on the LED Models. This mount is designed to fit the Picatinny rail, MIL-STD-1913. One of the main objectives in the design is to incorporate protective sides built into the mount; this makes for a very rigid set-up, and adds extra protection to your investment. Machined from a solid billet of 6061-T6 Aluminum, and finished per Military Specification MIL-A-8625 Black Anodized finish. Red-Dot sight not included. 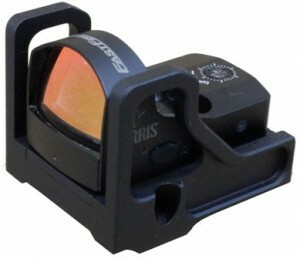 This mount will accept the Burris FastFire II & III, Docter, and will also work with the Insight and EOTech MRD’s. May also work on other brands with the same mounting platform, but have not been verified. 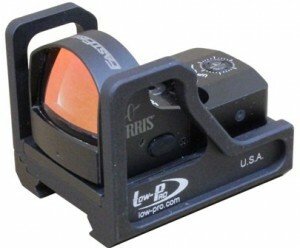 The Mount is light weight, strong, and has a very low profile. 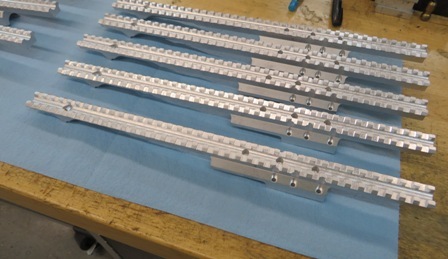 The side protective wings have been skeletonized to reduce weight, and also have access to the on / off switch. This mount is designed to fit the Picatinny rail, MIL-STD-1913. 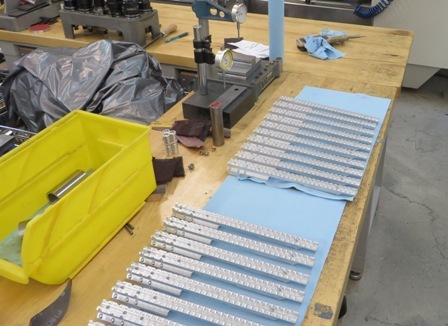 One of the main objectives in the design is to incorporate protective sides built into the mount; this makes for a very rigid set-up, and adds extra protection to your investment. Machined from a solid billet of 6061-T6 Aluminum, and finished per Military Specification MIL-A-8625 Black Anodized finish. Red-Dot sight not included. This mount will accept the JPoint MRD. May also work on other brands with the same mounting platform, but have not been verified. 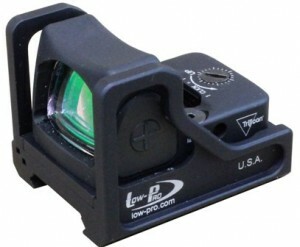 The Mount is light weight, strong, and has a very low profile. The side protective wings have been skeletonized to reduce weight. This mount is designed to fit the Picatinny rail, MIL-STD-1913. 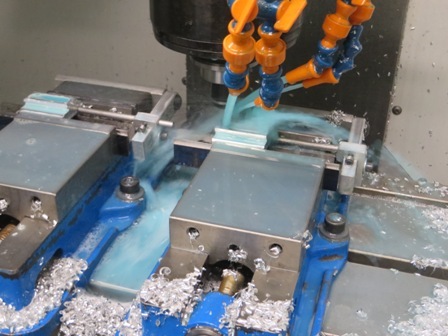 One of the main objectives in the design is to incorporate protective sides built into the mount; this makes for a very rigid set-up, and adds extra protection to your investment. Machined from a solid billet of 6061-T6 Aluminum, and finished per Military Specification MIL-A-8625 Black Anodized finish. Red-Dot sight not included. 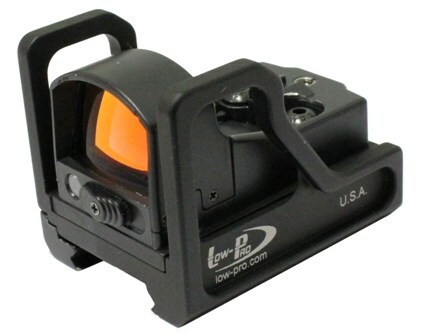 This mount will accept the Pride Fowler SOPSC Compact Red Dot Reflex Sight. May also work on other brands with the same mounting platform, but have not been verified. 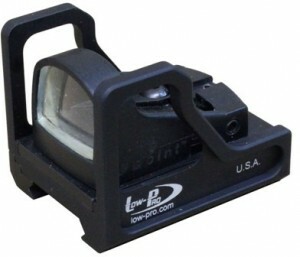 The Mount is light weight, strong, and has a very low profile. The side protective wings have been skeletonized to reduce weight. This mount is designed to fit the Picatinny rail, MIL-STD-1913. One of the main objectives in the design is to incorporate protective sides built into the mount; this makes for a very rigid set-up, and adds extra protection to your investment. 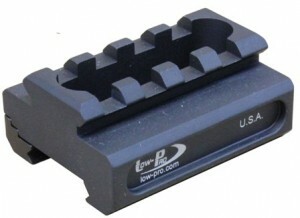 Pride Fowler Optic Cover can be used with this mount. Machined from a solid billet of 6061-T6 Aluminum, and finished per Military Specification MIL-A-8625 Black Anodized finish. Red-Dot sight not included. This was specifically designed for the Elcan Specter DR, it is Low Profile, light weight, and has skeletonized protective wings. This mount is designed to fit the JPoint / Docter / Burris FastFire II and III, Red Dot Sights, it utilizes a universal mounting plate. 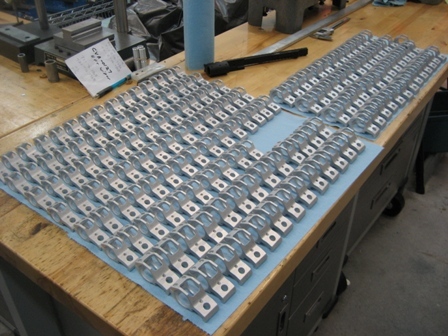 One of the main objectives in the design is to incorporate protective sides built into the mount; this makes for a very rigid set-up, and adds extra protection to your investment. Machined from a solid billet of 6061-T6 Aluminum, and finished per Military Specification MIL-A-8625 Black Anodized finish. Red-Dot sight not included. This mount will accept the JPoint , Docter , and the Burris FastFire II MRD Sights, (will not accept the Burris FastFire III). 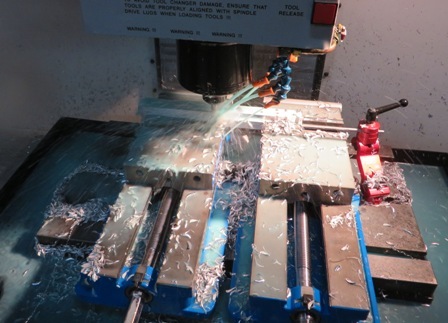 It utilizes a universal mounting plate. 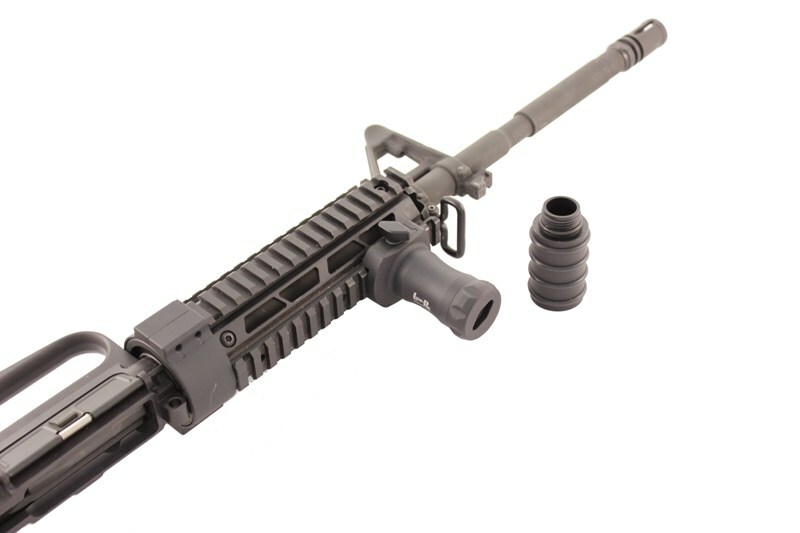 It was specifically designed to mount on the Saiga Shotgun. Installation is simple, just drift out the rear sight, slide the mount into the Saiga dovetail and tighten down both screws. The lowest profile mount of its kind on the market. 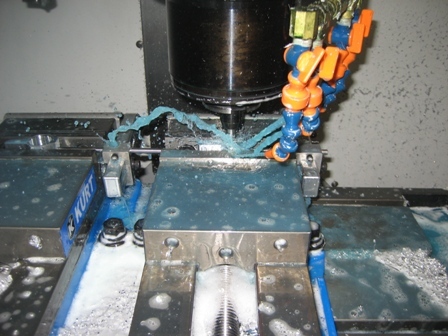 One of the main objectives in the design was to incorporate protective sides that are built into the mount, this addes for extra protection to your investment. Machined from a solid billet of 6061-T6 Aluminum, and finished per Military Specification MIL-A-8625 Black Anodized finish. Red-Dot sight not included. 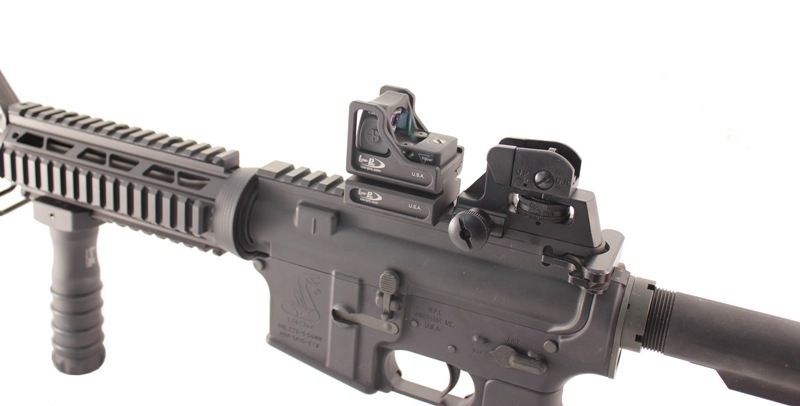 Used with Mfr # A-2075 JPoint / Docter / Burris Compact Picatinny Mount, this will allow optic to co-witness the Iron Sights when used on the AR15 Flat Top Upper. 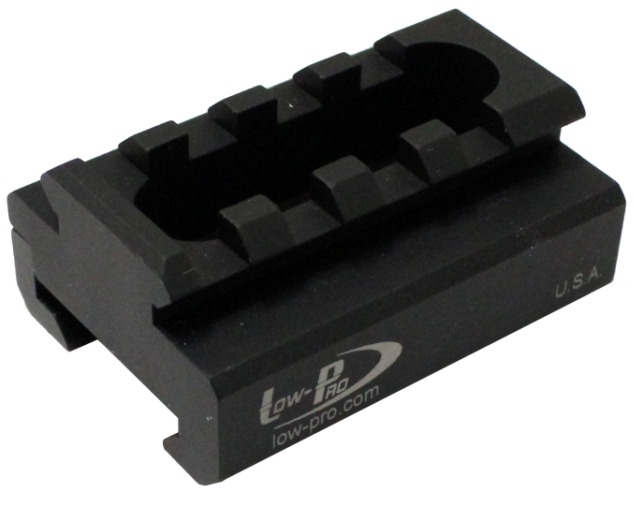 This Riser Block will now also accept the Aimpoint Micro Red Dot, to be directly mounted on top of Riser Block, and will allow co-witnessing of the Iron Sigths when used on the AR15 Flat Top Upper. 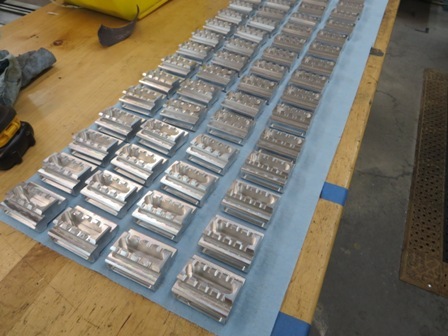 Manufactured to MIL-STD-1913. Machined from a solid billet of 6061-T6 Aluminum, and finished per Military Specification MIL-A-8625 Black Anodized finish. 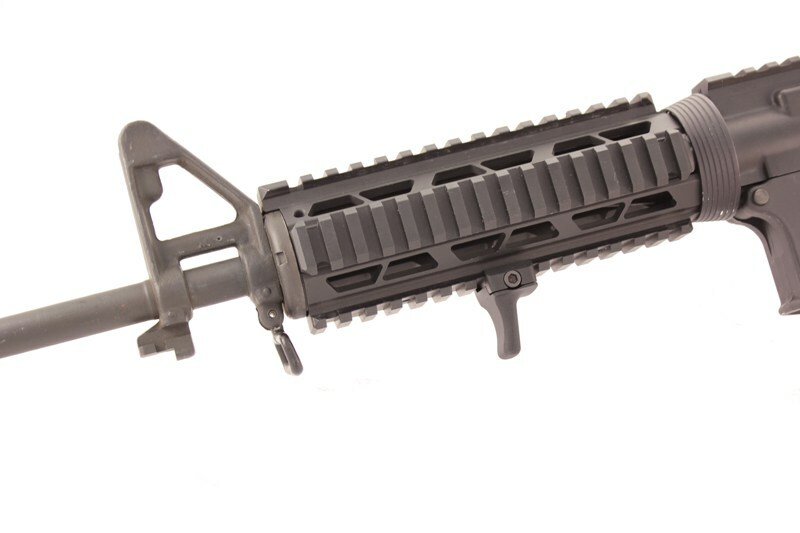 Used with Mfr # A-2077-78-79 MRD Mounts, this will allow optic to co-witness the Iron Sights when used on the AR15 Flat Top Upper. 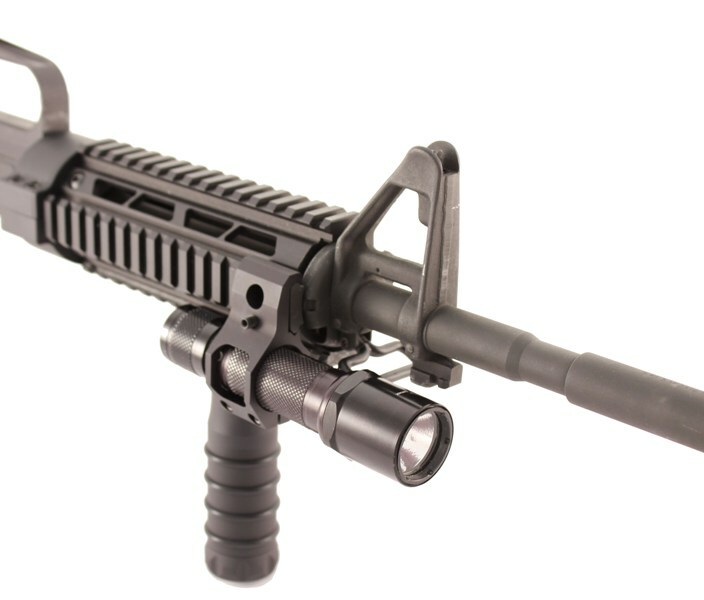 This Riser Block will now also accept the Aimpoint Micro Red Dot, to be directly mounted on top of Riser Block, and will allow co-witnessing of the Iron Sigths when used on the AR15 Flat Top Upper. Manufactured to MIL-STD-1913. Machined from a solid billet of 6061-T6 Aluminum, and finished per Military Specification MIL-A-8625 Black Anodized finish.